Peg Perego is an Italian brand. 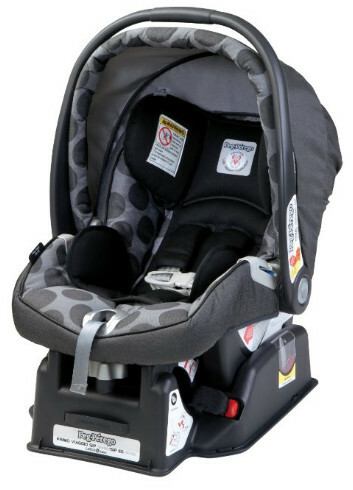 This is not unusual, many good car seat brands come from Europe, and Peg Perego is one of them but what makes it at least somewhat special is the fact its facilities are available in the U.S. as well as of recently. Nevertheless, the car seat and other Peg Perego products are produced in Italy only, and it has been that way since 1949. 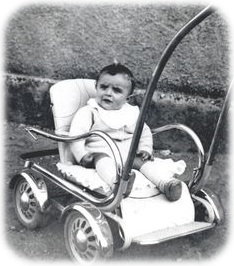 The first product produced by Peg Perego was a baby carriage the founder of the brand designed for his own purposes first. However, it was capable of much more than that, including conquering the market, and that is how Peg Perego came to be. It grew since them all the while expanding the product scope during the 60-s. The assortment included a car seat for the first time. It was not a car seat meant primarily for use in a vehicle but it could be used that way. At the time, the products were still produced manually. With the arrival of the 70-s, however, Peg Perego finally moved onto industrial production which made possible precision quality. Since then and until now, the quality of their products only improved. 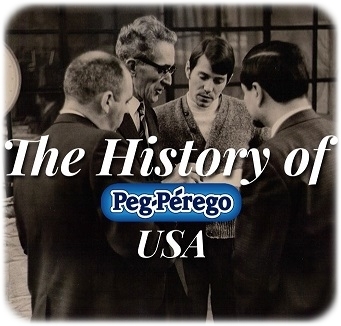 More than 700 men are employed by Peg Perego, and many of them are employed in car seat production and quality control. Quality control is one of the essential processes in Peg Perego facilities. 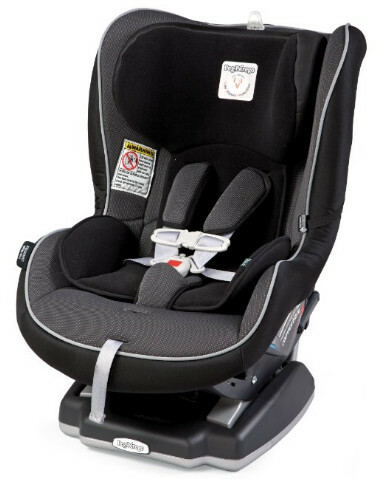 Car seat production is something relatively easy as far as human involvement is considered. However, quality control requires attention, and that makes the position very responsible. The goal of Peg Perego is to create products that could make a family happier. When it comes to safety car seats for children, the safety of the children is what makes families happy although making children happier also contributes to the cause. Tradition is something that Peg Perego, being a family-owned firm, holds on to. Six decades of engineering, design, production and distribution have created a perfect system that produces perfect car seats, aside from other products. Nevertheless, Peg Perego is no stranger to innovations and do all in their power to keep up. The Primo Viaggio SIP 30-30 is a seat suitable for children up to 30 lbs in weight and 30” in height, hence the 30-30 in the name. This is not much even for a child car seat but as an Italian car seat, the Primo Viaggio has to meet the Italian standards first and foremost. Thanks to those standards and the overall quality typical for Peg Perego products, the Primo Viaggio is equipped with one of the safest side impact protections in the world. This really is so, it is not just words of an overzealous manufacturer. The side impact protection comprises EPS foam, polystyrene, wings and shell to protect the infant from debris and impact forces. Since Peg Perego is not focused solely on car seats and produce other baby products as well, including stroller, it is only natural and expected that the Primo Viaggio is compatible with Peg Perego strollers. As such, it can be used to set up a comfortable car seat travel system. The seat comes with a canopy to protect the baby from the sunlight and other elements. This is not the cheapest seat but it will still cost you below average. Another Primo Viaggio car seat. This one might seem to be identical if you look at the name but it is not. First of all, this seat has wider weight limits, if only barely so. The Primo Viaggio 4/35 can accommodate children from 4 lbs up to 35 lbs. Seemingly not having all that much, this seat actually holds a great advantage over the other one. This Primo Viaggio can accommodate underweight children although we recommend consulting a doctor and using safety car beds for medically fragile children. 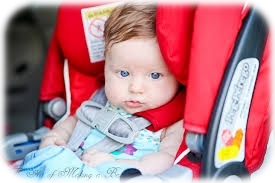 The car seat comes with a built-in anti-rebound bar, specifically to make the seat more suitable for low-weight babies. The dual stage cushion system serves the same purpose and makes the seat more comfortable for children in general. The designers have thought other needs of babies, including support for their necks and bottom. The Primo Viaggio 4/35 does a lot more that keeps them safely secured. It also makes sure that the baby’s growth is completely unimpeded by the seat. Otherwise, it is very similar to the other Primo Viaggio. However, it is also more expensive, the price is slightly above average. With the extra features, such things should be expected. 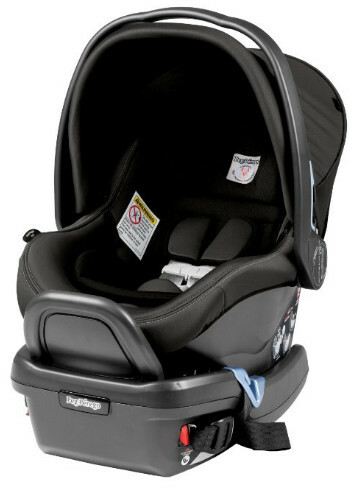 Unlike the other Peg Perego car seats, the Premium is a convertible seat. As such, it can accommodate children from 5 to 65 lbs. These numbers are quite standard for convertible car seats. They are not what makes this seat special. The side impact protection system, however, does. It does not single out the seat compared to the other two seats, but it does make it stand out when other brands are considered. The Premium seat is equipped with a steel backplate that does even more than provide a basic protection. It also restricts unwanted forward movement and reduces flexing. The plate is contoured to improve the safety of the child, as is the base. The base of the car seat improves stability. The Premium seat is equipped with LATCH connectors. They are not enough to make a car seat good but in combination with everything else, they certainly make this on even better. The Premium is rather expensive a seat although not quite as expensive as some other car seats. Its main advantage is the combination of safety features. It should also be noted that this car seat can be easily adjusted and has 10 positions.